Vanessa joined Watsi on December 31st, 2017. 31 other people also joined Watsi on that day! 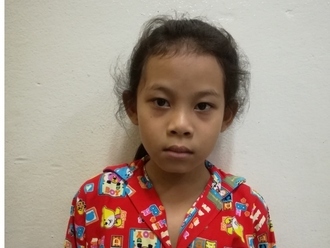 Vanessa's most recent donation traveled 8,800 miles to support Rida, a girl from Cambodia, to fund spinal surgery. Vanessa has funded healthcare for 8 patients in 4 countries. Salomon is a six-month-old baby from Haiti. He lives in a small city with his parents and two older brothers. His father is a day laborer, and his mother sometimes works in the market. He is a cheerful and outgoing baby. He was born with Tetralogy of Fallot, a rare heart condition caused by several heart defects, including a hole between two chambers of the heart and a muscular blockage in one of the heart's valves. As a result, not enough oxygen is delivered to his body, leaving him sickly and weak. Without surgery, the condition is fatal. Salomon will fly to the Cayman Islands to receive treatment. On June 20, he will undergo cardiac surgery. This $17,000 surgery is subsidized by Have a Heart Cayman. Salomon's family also needs help to fund the costs of surgery prep. The $1,500 bill covers labs, medicines, and checkup and followup appointments. It also supports passport obtainment and the social workers from our medical partner, Haiti Cardiac Alliance, who will accompany Salomon's family overseas. Watsi is also fundraising for his [transportation](https://watsi.org/profile/2a1ac1faff9e-salomon). "I will pray for God's blessings on everyone who is helping my son have surgery!" says Salomon's mother. Ketchina is an eight-year-old girl from Haiti. She lives with her parents, and two sisters. She is in the third grade and enjoys drawing and playing with dolls. Ketchina was born with tricuspid atresia, a condition in which her heart only has three valves, instead of the normal four. This prevents oxygen-rich blood from properly circulating throughout her body. 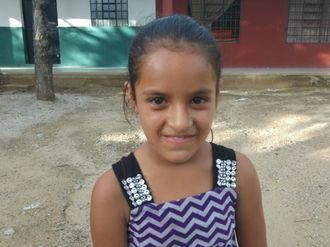 On July 11, Ketchina will be traveling from her home in Haiti to our medical partner's care center, Health City Cayman Islands, in the Cayman Islands. There she will undergo heart surgery. Our medical partner, Haiti Cardiac Alliance, is asking for $1,500 to help cover the cost of Ketchina's surgery prep. Another organization, Have a Heart Cayman, has contributed $27,000 towards her treatment. We are also fundraising for her [transportation costs](https://watsi.org/profile/e94e481a0a43-ketchina). "I will be glad for the surgery to be over so that we can let Ketchina go to school and play with her friends without worrying about her," says Ketchina's mother. 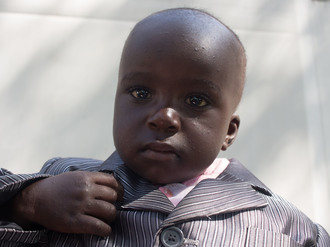 Ezra is a calm, two-year-old boy from Kenya. He is the third child and the youngest in his family. When Ezra was born, he was diagnosed with clubfoot, a condition in which the feet bend inward, making it so that he is unable to stand on the soles of his feet. Over time, his condition has gotten worse, making it increasingly difficult and painful to stand and walk. Seeking treatment through our medical partner, African Mission Healthcare Foundation, Ezra is scheduled to undergo surgery to correct his clubfoot on July 10. His father is requesting $1,224 to cover the total cost of his procedure and care. "I cannot afford to pay for my son's treatment since I am the only breadwinner in the family and also I have unsettled bills for my wife in the hospital,” says Ezra's father.